Here we go again! 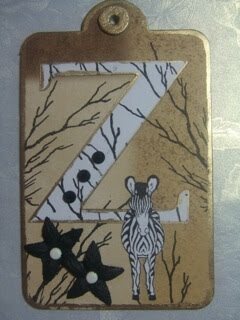 A is for Animals! Hi everyone, thank you to those who took part last week, some cute zebras!! 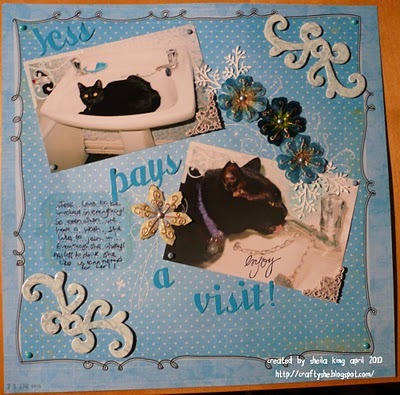 Well here we go again - Linda took us through the alphabet twice, and as she now has other commitments in life and not as much spare time, she has handed over the running of the blog to me! Linda will stay on the DT and join in when she can, fifi is staying with us, and we have a new member joining the DT, She. We are starting off with A for Animals this week, and we would love to see any type of animals on your work, cute, wild or otherwise! Here is what the DT have come up with, please visit their blogs for details of what they used etc. (links on right) and we are looking foward to seeing what you come up with! We are introducing Mr. Linky for your comments so please leave your link on there. If you have any problems with it please leave a comment in the usual way! Thanks! Well, I can hardly believe it, but here we are, at Z ..........again! Can't believe we have been right through the alphabet twice now! 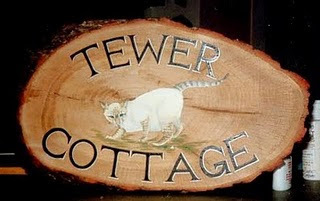 This will be the last week that I will be running this challenge blog, as my circumstances have changed somewhat over the last many months, since we started, (for the better!) but it means that I now have less time for crafting. In view of the support that the blog is currently receiving, Lesley has asked to take it over and continue with it. I will remain on the DT, and will make samples as often as I can! 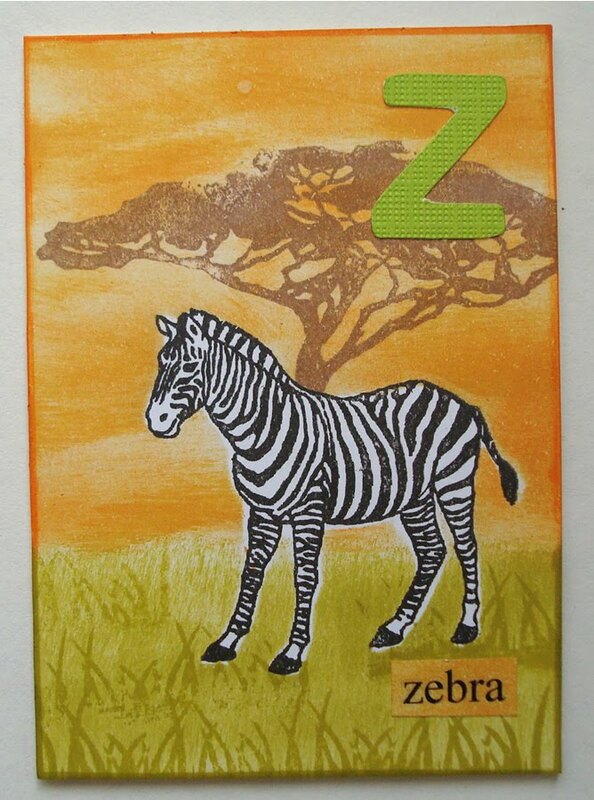 And so to this final challenge, Z is for Zebra! 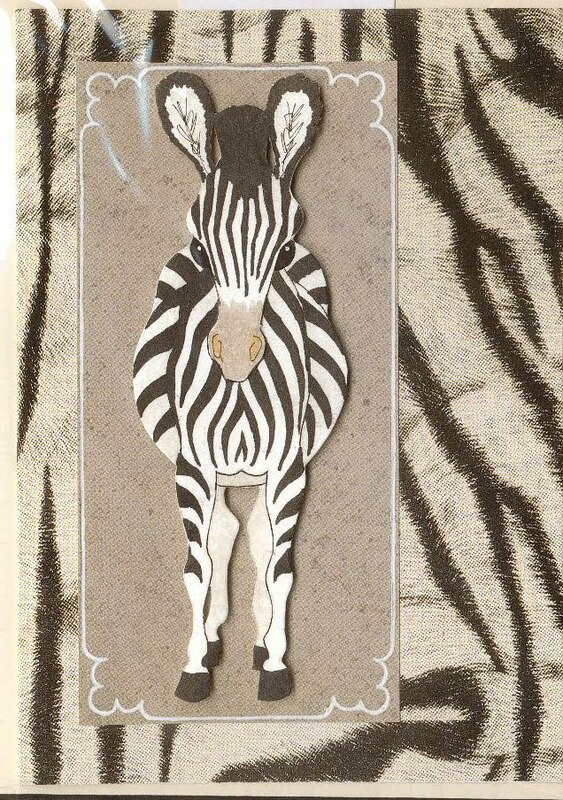 I have made this card using the drawing that I did for a zebra rubber stamp that I made. 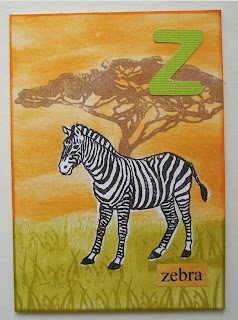 And Fifi has used the zebra stamp that I designed for her final beautiful tag. Hi everyone, thanks to those who took part in last week's challenge, X is never an easy theme to come up with! 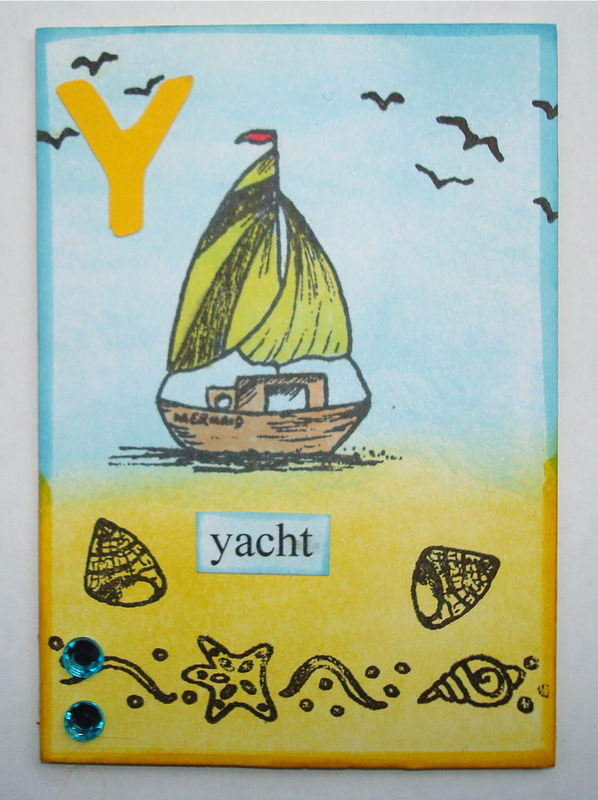 This week we have got Y for Yellow for you, so we would like to see some yellow on your work! As always, you can make anything for these challenges not just cards! Linda has made a beautiful card featuring an oriental lady dressed in yellow. 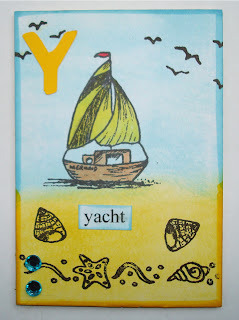 And I have made another atc for my A-Z book, using yellow for the sand and a yellow yacht! 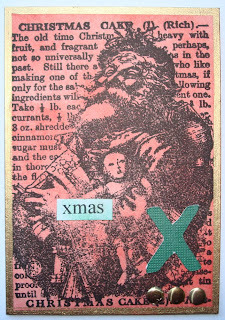 And here is a lovely yellow tag from fifi using one of Linda's stamps on the background! Many thanks to everyone who took part with the white challenge last week. 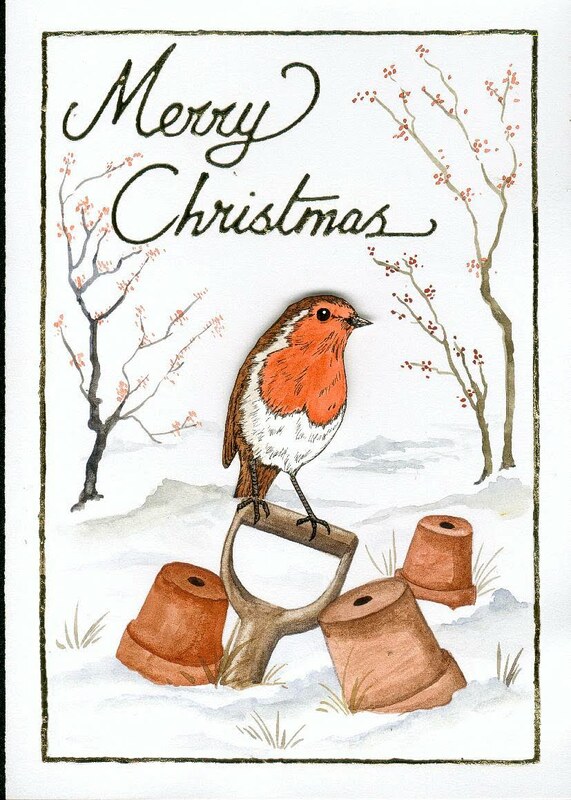 This week we are thinking forward to Xmas! 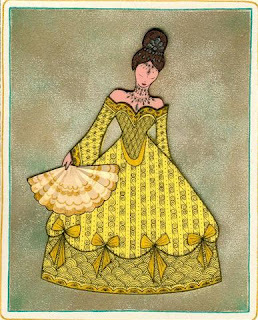 Here is a card that I made using a picture that I drew. And Lesley has made another lovely ATC for her collection. 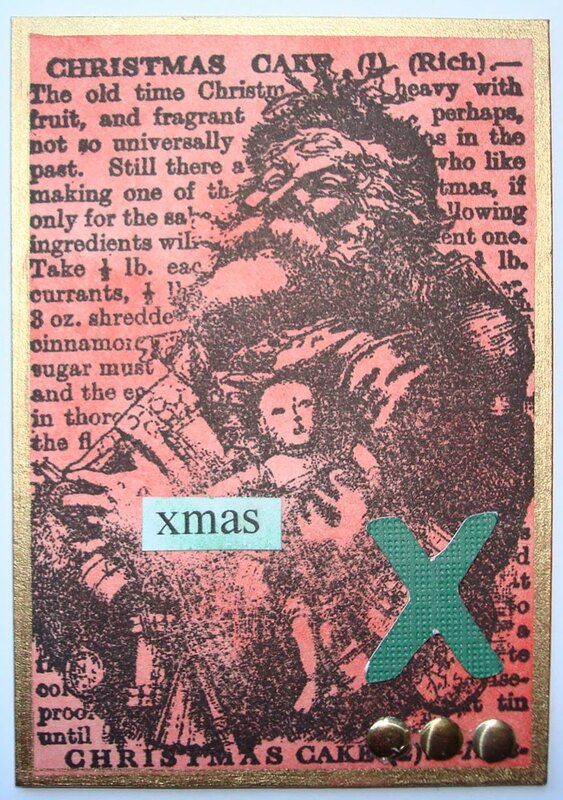 And fifi has used another of my stamps to make this fab Snowman tag. 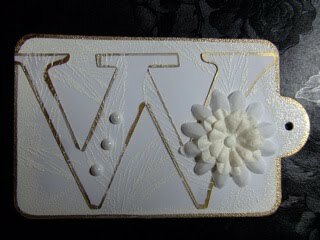 W is for ............. White! Hi all, well done to everyone who managed a vase last week, it was lovely looking at all your creations. We're a little early again this week, getting a headstart before Easter! This week I have made a sympathy card, featuring a white pearl panel and white flowers, and detail added using white pearl paint. 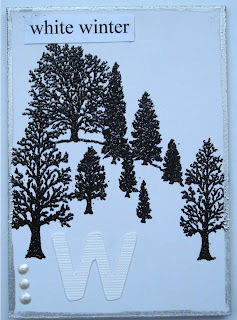 Fifi has made another lovely tag this week, very white, with some lovely white embossing, and I do believe she has used another of my stamps for that! Lesley has made another ATC for her collection, I love these trees, the whole collection will look fab when it's finished!